eXCITe (eXperiment for Cellular Integration Technologies), also known as PTB 1 (Payload Test Bed 1), is a DARPA mission to demonstrate the satlets technology. Satlets are a new low-cost, modular satellite architecture that can scale almost infinitely. Satlets are small modules that incorporate multiple essential satellite functions and share data, power and thermal management capabilities. Satlets physically aggregate in different combinations that would provide capabilities to accomplish diverse missions. The first DARPA Phoenix spacecraft won’t be an orbiting satellite factory. Instead it will be an already completed spacecraft, called eXCITe, built from smaller parts. Constructed by NovaWurks, based in Los Alamitos, Calif., the spacecraft will be made out of a set of identical “satlets,” which the company dubs HiSats, for Hyper-Integrated Satlets. Each measures about 20 by 20 by 10 centimeters. An additional payload, eXCITe carries the QIKcom-2 amateur communications payload for the US Naval Academy Satellite Lab, containing an APRS packet radio communications transponders for relaying remote telemetry, sensor and user data from remote users and amateur radio environmental experiments or other data sources back to Amateur Radio experimenters via a global network of internet linked volunteer ground stations. eXCITe will also carry the SeeMe satellite to be deployed some time after launch. 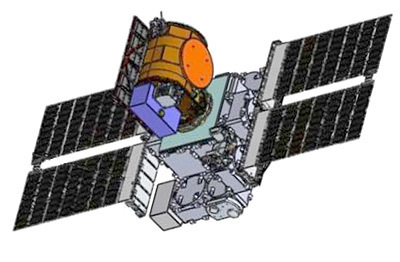 eXCITe was to be launched into a 450 km sun synchroneous orbit on a multi satellite launch on a Falcon-9 v1.2 with SHERPA space tug in early 2016, but has been rebooked on an Indian PSLV rocket in late 2017. Later it moved back to a Falcon-9 v1.2 (Block 5) in 2018.